Plenty of outer membrane vesicles (OMVs) are often found associated with the parent bacteria forming a biofilm. 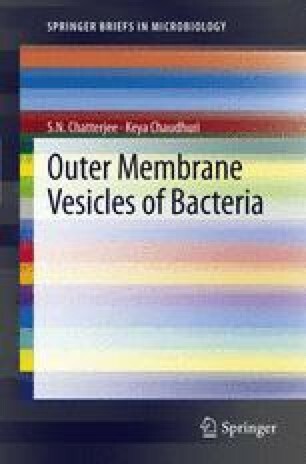 The functions of these OMVs in the biofilm are discussed in this chapter. Additional genetic and other studies are required to decide the exact role of OMVs and DNA in the formation of biofilm.